Avoid These Mistakes When Selling at an Auction | Wilson Auction & Realty Co, Ltd.
One of the most effective ways to sell your personal possessions is to hold an auction. When you work with a qualified auction company like Wilson Auction & Realty Co., you will be able to attract a large pool of buyers and fetch top dollar for your items. 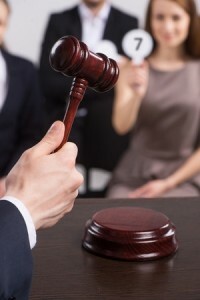 Nevertheless, when you decide to hold an auction, there are some mistakes that you need to avoid at all costs. Take a look at them below. Selling certain items to buyers ahead of the auction. Once people find out that you are holding an auction, they may try to get in contact with you to purchase some of the items you will be auctioning off. You should avoid selling them the items, even if they make what seems like a good offer. The purpose of an auction is to bring in buyers and get them to drive the price of an item up. Therefore, you’re going to be making a big mistake if you start selling items before the auction officially begins. Posting photos of your items on social media or other websites. While waiting for an auction to begin, you might be tempted to post photos of some of your items online. This is a bad idea because you are only going to attract phone calls and emails about the items. You are also going to risk letting people know where your items are located, which could make them less secure. Let your auction company handle marketing your auction and posting photos of your items as they see fit. Forgetting to come to an agreement with co-owners of items. There are many people who will hold auctions to sell off someone’s estate. It’s a very effective method of unloading a large number of items at once, but before you do it, you should make sure that anyone who could potentially lay claim to the items is informed of your decision to auction them off. It could save you from encountering a huge headache later. At Wilson Auction & Realty Co., we know how to spot potential problems with auctions, and we know how to avoid the mistakes that sometimes come along with holding them. If you would like to hold an auction with us, we would love to help you pull it off. Call us at 419-636-5500 today to get started.